I woke up this morning wanting to eat a corn dog. Do you prefer ketchup, mustard or both on your corn dog? I want to put this on a hoodie. 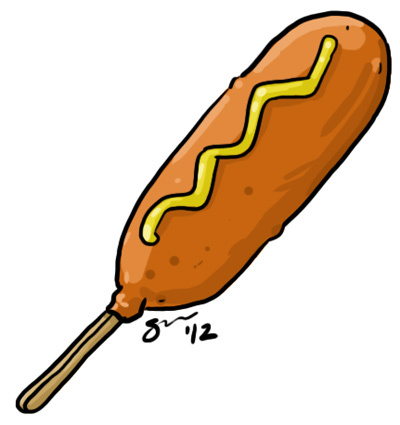 Would you buy a hoodie with his corn dog on it?